Unity 5 2D Combat in an RPG Game | Free eBooks Download - EBOOKEE! Posted on 2016-12-13, by everest555. The hallmark of any popular RPG game is combat. Building on the lessons in the rest of the Unity 5 2D series, these tutorials show how to build simple turn-based combat like you would experience in classic RPGs. In the Movement in an RPG Game course, you learned how to move a player in a 2D tile-based map. Here you'll program, trigger, and manage random battles on the map. Author Jesse Freeman shows how to create pop-up battle windows, add monsters, and create player and monster attack actions-including evasive maneuvers. When the battle is over, you'll learn to reward the player and clean up for future moves. 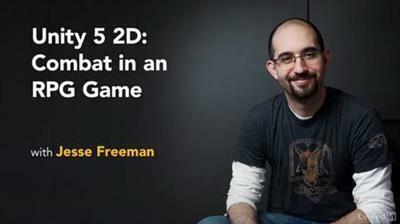 No comments for "Unity 5 2D Combat in an RPG Game".